I love this column. Okay, so it’s not really a column per se, but after several months of these ‘Crush’ articles I have to believe you’ve put together that this corner of UTG is reserved for the latest pop discoveries. Forget about lyrical depth and well-meaning instrumentation for a few minutes and allow yourself to become lost in the confectionery world of top 40 music. It’s scary at times, I know, but it’s also the most fun you’ll have with your clothes on. Several people have commented in recent weeks that all my Crush articles have highlighted the efforts of women in pop. While that is true, it was never intentional, and today we give the men a chance to shine by putting the spotlight on rising UK pop-rock favorites Rixton. This four-piece have the looks of a boy band and talent to spare, but for whatever reason have yet to leave much of a mark stateside. Their new single and video will likely change that, and today I’m here to give you the heads up on their impending pop takeover. Produced by Benny Blanco and Wallpaper., “Make Out” is an infectious anthem about locking lips with the special someone in your life. It’s an upbeat, guitar-driven track that packs gigantic hooks no tween or twenty-something with zero shame about their hunger for catchy tracks will be able to resist. The video is equally hard to turn away from, as it introduces the band’s members through a series of pop music video parodies that take on everyone from Miley Cyrus, to Katy Perry and Robin Thicke. You can view the clip at the end of this post. Parodies can be risky business, but there is very little to complain about as far as “Make Out” is concerned. It’s rare that a band as young as Rixton get both their single choice and video design right, but that is exactly what has happened here. 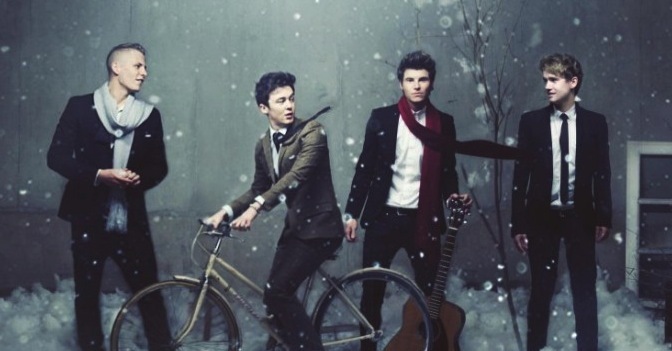 We talk a lot about the intangible “it” factor pop singles need to find traction stateside, and it seems pretty clear to me that Rixton have “it.” Comment below and let us know if Rixton will be added to your playlist in the weeks ahead. Posted in News Tags: benny blanco, Buzzworthy, make out, music video, must hear, parody, pop music, rixton, single review, Wallpaper. Just give someone an accent and suddenly they are awesome.